The Midsummer solstice is coming and with it the feast of San Juan (Saint John’s), a magic evening where night is dragged until dawn, tinted by the color of fire. There are celebrations all over the Region of Valencia, such as the Hogueras de Alicante, the iconic bonfires of this area. We now invite you to get to know the origin and tradition of said night. 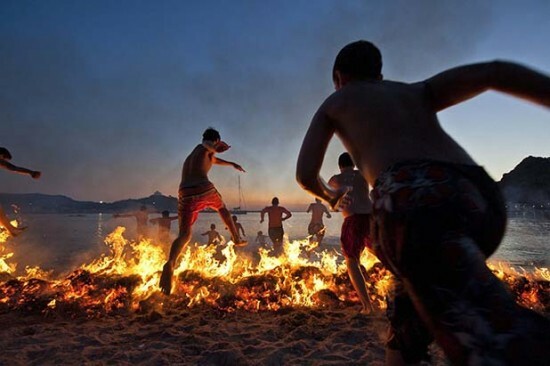 Upon the arrival of the Midsummer solstice on 21st June, summer officially starts and a few days later the San Juan festivities are celebrated in style from the night of the 23rd to the 24th of the same month. AIP Language Institute encourages its students of all ages to celebrate this day participating in socio-cultural activities that include getting to know this part of Valencia’s local folklore. The eve of San Juan (Saint John) comes from a Christian tradition, although its roots spring from pagan beliefs, specially embedded in Europe, Britain, Sweden, Denmark, Portugal, Norway and the Baltic countries, also Spain. The ritual for the celebration is a bonfire which symbolically pretends to add strength to the Sun, whose presence has been weakened by the solstice until the upcoming winter solstice enlivens it again. 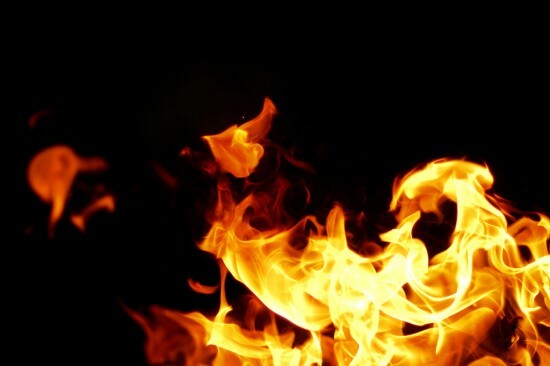 The bonfire has the power to purify those who participate and those who contemplate it; it’s a collective ritual of cleansing the negativity and the useless past. 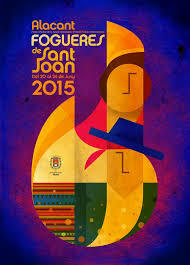 In the Region of Valencia the most emblematic fiesta associated to San Juan is the famous Hogueras de Alicante. Similar to the ephemeral cardboard monuments that represent Fallas, these bonfires are set up all around the city to be burnt on the final evening of the festivities. But this Saint’s eve is celebrated all along the Region’s coast: on squares with night parties and bonfires, specially photogenic and magical when lit close to the sea. Valencia’s urban beaches like Las Arenas, Malvarrosa, Cabanyal, La Patacona, Pinedo or El Saler are filled with groups of youngsters and adults who equally enjoy an alfresco dinner and the later bonfire among friends. City Hall puts at your disposal a wide network of public transport (bus and tram) to avoid the classic traffic congestion and the dangers of using a personal car on such a night of excess. Recent Valencian tradition calls for burning a note with whatever we wish to purify and leave behind, as well as making a wish while jumping waves on the shore; all this performed after dining on the beach. It’s a special night to stay wide awake until dawn, sharing with friends.